At the Swimming School of Local Dreamers, children from the project neighborhood La Arcadia are introduced to sport and water, regardless of gender, social background and economic situation. In November 2014 we started a pilot for a new social-pedagogic and sportive project, with a group of 6 volunteers and 9 enthusiastic kids. Children of parents, who do not have the possibility to pay for an expensive swimming course, can literally learn to keep their heads above the water at the swimming school of Local Dreamers. On Friday afternoons, we teach them the basic techniques of swimming in the two swimming pools that we rent in the neighborhood of La Arcadia. 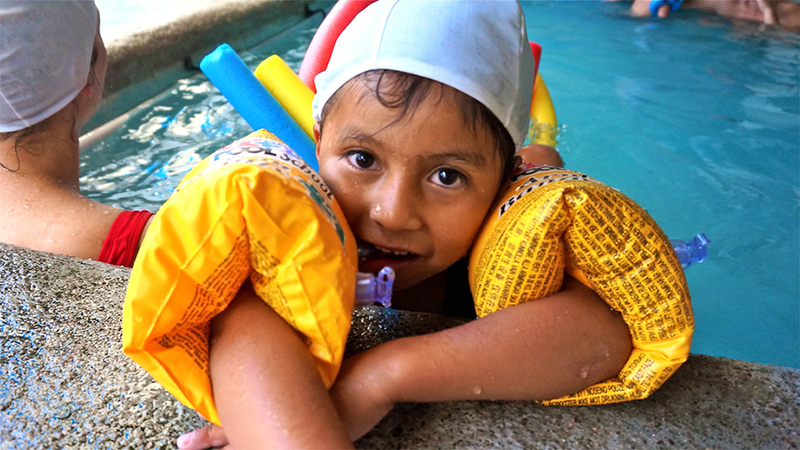 We take their safety very serious, swimming classes are always joined by a supervisor of Local Dreamers. 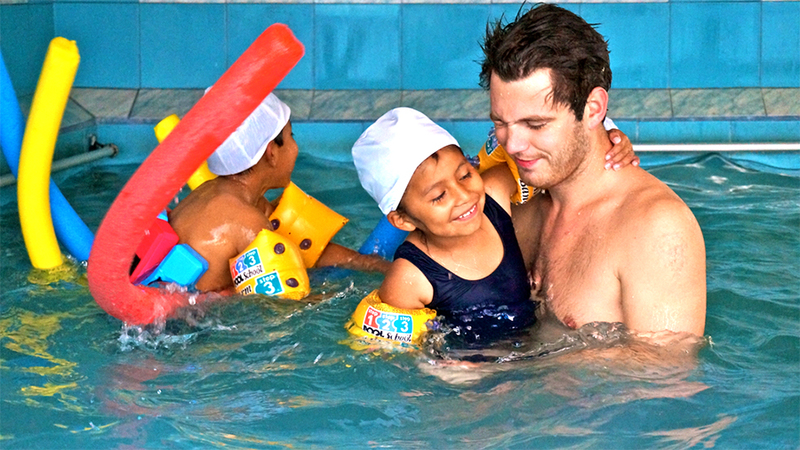 The Swimming School project is a great joy for both the children as the volunteers. The focus of the classes is on fun, motion and swimming techniques. Due to maintenance work at the facility, the Swimming School will be closed in July and August! On the Swimming School the children are really pushing their boundaries! We oblige the teachers of the Swimming School to take a base course in Spanish at our Quito office. For the manager or coordinator of the project, it is mandatory to follow an intensive course. For more information, see our Spanish course page. 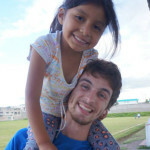 On the rooftop of our office in Quito, co-founder Aldert and intern Judith explain why we started a swimming course. Sign up for the Swimming School project! If you are interested in the Swimming School project, and you want more information, please contact us via the ‘join us button’. Be aware that we don’t have any full-time projects. We always compose a project plan in collaboration with the volunteer, and try to match the qualities of our volunteers with the right activities. Volunteers do best what they have been educated in.